Businesses need a website to stand out among the rest of the internet. 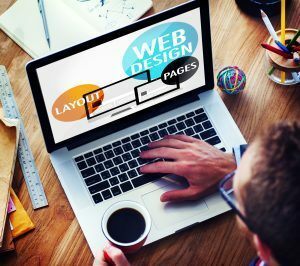 In today’s world, it’s not enough to just have a website but it needs compelling web design to draw in potential customers and expose them to your brand and services. Design & Promote is a local web design company near Lisle to provide web design that will build your company reputation and increase your business. Our team of designers is experts in web design trends and making websites attractive and captivating. We want people to have a memorable experience on your website, whether through interactive elements or memorable images. It is our goal to provide you a customized website to differentiate itself from other template sites and really bring a crisp and professional look to your company. Give us a call at 630-995-7109 or complete the form on this page for more information. Work with you to set realistic goals and expectations. Design and develop web pages to be compelling and engaging. Train you in maintaining the site before launching it into the world. Together, we will collaborate make your brand broadcast through the internet and bring new business with every visitor to your new web site.